Halloween is right around the corner and we really went back and forth with what to dress Ezra as! We were really into the pumpkin idea but wanted to do a family costume that was quirky and unique like us, so we decided to go with a Bob’s Burgers theme and Ezra would be our hamburger! Now naturally they don’t make baby hamburger costumes, so I used my creative brain and a trip to Wal-Mart and one mimosa later, we had our hamburger! The costume itself was super simple to make, and cost a total of about $15 in material! 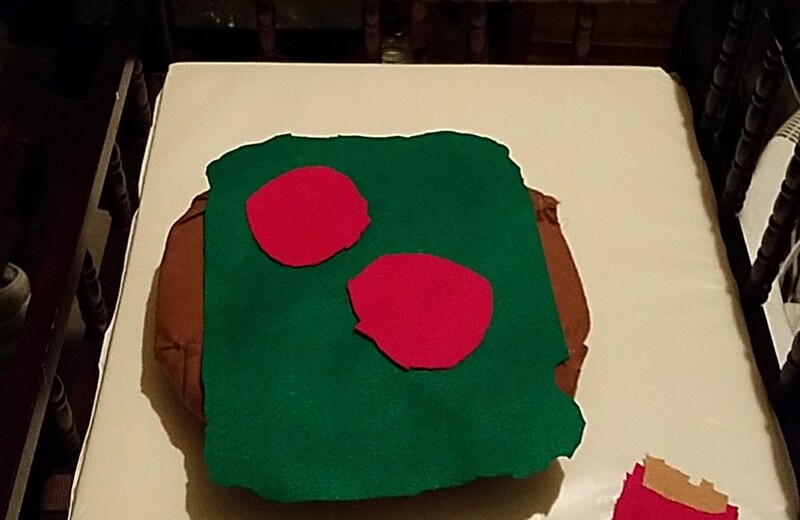 To make it all you need is a cardboard box for your base, fabric in various hamburger colors (I used brown, tan, red, and green) a sewing kit or double side sticky tape, and some stuffing for the burger buns! First you need to trace your buns on your cardboard for the base! 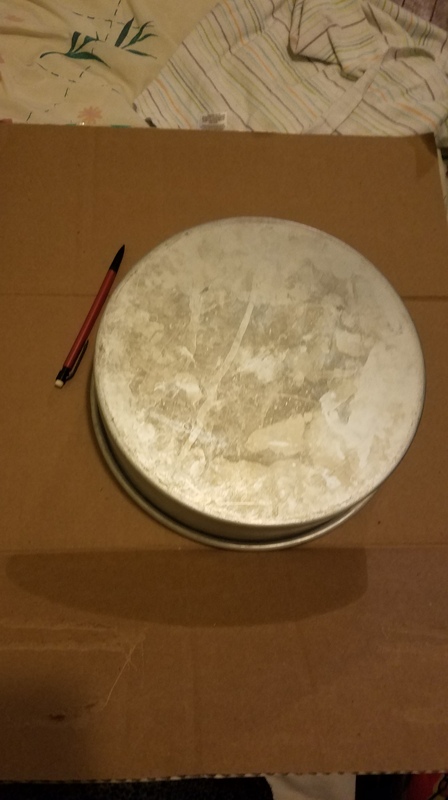 I traced a cake pan, but any circular object will do! 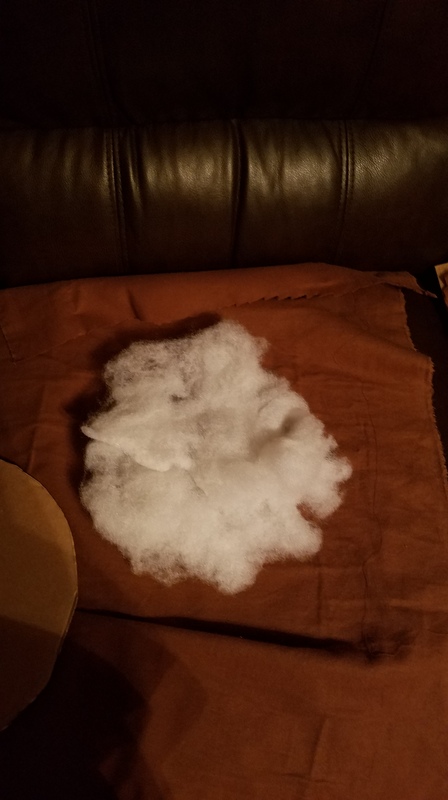 Then once you trace out two circles for your bun base, you take the dark brown bun colored fabric and some stuffing and create your basic bun! I used both double sided sticky tape and some hand stitching to create the matching top and bottom buns! Don’t forget the sesame seeds on your top bun, either attach with a few stitches or tape! I also used green felt for the lettuce and cut out red circles for tomatoes as pictured below! For the bottom bun I put a piece of lettuce but no tomato or sesame seeds, as this will be the back of the costume. To finish off the ensemble, attach two straps, one over each shoulder and viola! You have yourself a hamburger made for cuddles! For added effect I made a small side of fries for our little one to hold on to tie the whole outfit together. Although I haven’t put it on Ezra yet, I’m sure our little burger will look adorable! Stay tuned for a summary of Halloween cuteness coming to you on October 31st! Update: it’s now October 8th, 2018 and I’ve finally added a picture!